﻿ Ruben: "We can only stop Cristiano Ronaldo by tying him with a rope"
06.11.2011 » Ruben: "We can only stop Cristiano Ronaldo by tying him with a rope"
Real Madrid and Osasuna measure strenghts this Sunday morning in the Santiago Bernabéu and the Merengues look forward to extend their lead from Barcelona. Cristiano Ronaldo has naturally been identified as the biggest threat and Osasuna's defender, Ruben, noted that the only safe way to be sure that Cristiano Ronaldo won't make the difference, is to tie him up with a rope. For the first time since 1995, Real Madrid plays in the morning for La Liga. The game against Osasuna will be held this Sunday morning in the Santiago Bernabéu (12:00 GMT+1, localtime). Ruben is a center defender from Osasuna and will have Cristiano Ronaldo as an opponent this weekend. The Spanish player confessed that he's a bit afraid of facing the Portuguese player on the next match and said that the only way possible to stop Ronaldo is to tie him with a rope. 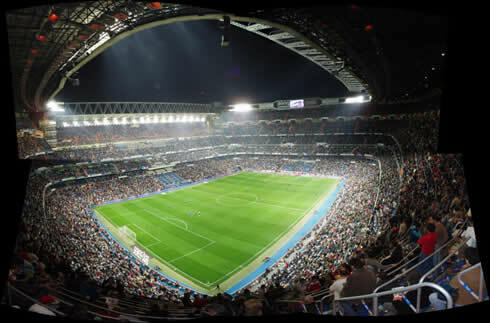 According to the latest reports, and even though the match is scheduled for 12:00, the demand for tickets for this Real Madrid vs Osasuna game is enough to fill two Santiago Bernabéus. Real Madrid will attempt to extend their lead from Barcelona temporarily to 4 points, since the Blaugrana will only travel to Bilbao later at night, to face the local team. Osasuna's hopes to get a positive result from Madrid are highly dependent on the ability to prevent Cristiano Ronaldo from creating danger. 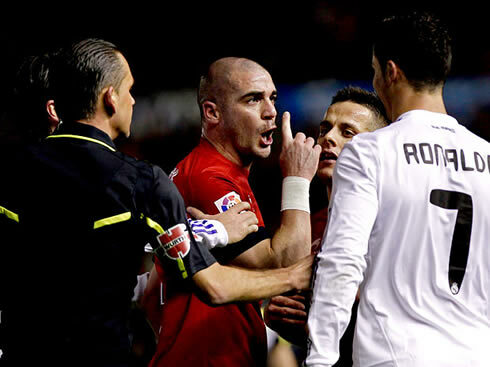 Osasuna's center defender, Ruben, was keen to stress that they are not expecting an easy task in stopping Ronaldo. Ruben: "How do we stop Cristiano Ronaldo? Using a rope! (laughs) I really don't know, but we'll see that during the game...", alerted the Spanish defender. Osasuna has been having a good campaign in "La Liga" so far, being ranked 8th, above Athletic Bilbao and Athletic Madrid. Clearly seen as the underdogs for this match, we can expect a very defensive approach to the game from the Pamplona side, who still didn't win any away game this season. Ruben also pointed out that Osasuna will have in front a very strong team: "Real Madrid are in a great form and they have been pulling off good results so far. They've also assured their qualification to the knock-out stages, in the UEFA Champions League already", noted the former Mallorca player. He then showed a small portion of confidence. Ruben: "However and despite Real Madrid strenghts, we will give our best in this game." 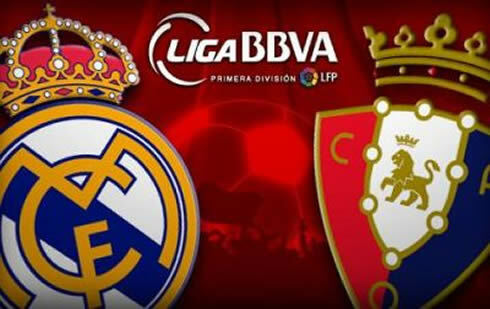 Real Madrid will face Osasuna this Sunday, for La Liga. You can watch Juventus live stream, Real Madrid vs Osasuna live, in our Soccer Live Streams section. The countdown clock timer, displaying the time left for the next Ronaldo game, is shown on the top right corner of all pages. Besides that game, you can also watch AC Milan vs Catania live and Athletic Bilbao vs Barcelona online this Sunday. All streamings are provided from our "Live" section.